Advertising is probably regarded as one of the least trustworthy professions. After the countless untruthful advertisements the public has watched these years, they chose to lower the standard. According to Nielson Online Survey, credibility in advertising has increased recent years. But now, the astroturfing, the new era's version of false advertising, is permeating everywhere. The astroturfing has very long and ignoble history which can be traced back to Roman Empire. Roman politicians like Pompey and Clodius paid the citizens to support themselves and to disturb their rivals. Those paid fans followed their patron to the forum, the speeches, and the court to show the political strength. What Pompey did seems still fashionable in the 21st century. During the presidential election, Hillary Clinton was accused of paying protesters to yell and disturb Trump rallies; also, Donald Trump was alleged that giving $50 to each actor to support his announcement. With the uprising of the social networks, the emerging effect of "the crowd" has brought the astroturfing to online reviews. I used to read Airbnb reviews carefully before booking the apartment, pored over Yelp reviews to try out a new restaurant, and go through the feedbacks in Urban Outfitters before purchasing a new dress. 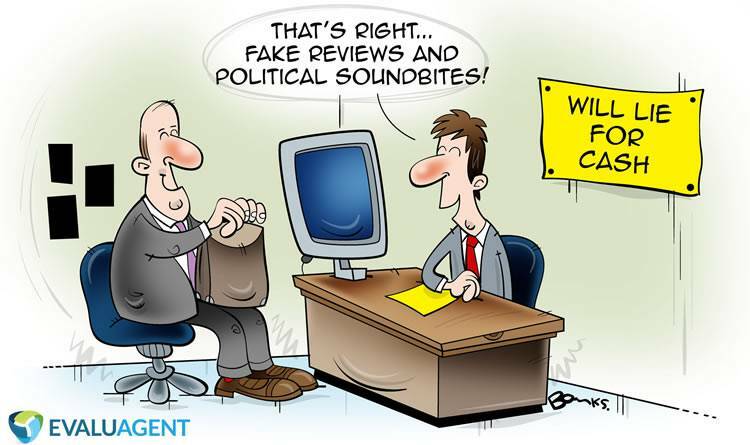 I used to trust those online reviews; sadly, quite number of the feedbacks are written by people who have been paid. In 2013, Yelp admitted openly that one-fourth of reviews were regarded as fake. In 2014, New York State Attorney General Eric Schneiderman was listed 19 companies posting fake reviews on Yelp and Google Local. In 2015, 1,114 people were sued by Amazon for writing counterfeit feedbacks on its site, which promoted the sale of some products to the peak. Ironically, I am judging how the sordid reputation the practice of astroturfing possesses, but I was a short-term paid astroturfer. I was in high school and didn't understand what exactly I was doing. I had to contribute three long reviews and two short comments to brag my relative's new-opened fancy restaurant. Honestly, it was fun at first, I pretended as different characters to fabricate those feedbacks on different perspectives. After two weeks, my creativity was on the horns of the dilemma. I felt like I couldn't just keep lying about the dining experiences that I never had; besides, I really run out of the creativity. People know that the real truth in advertising is an antinomy. The islands always look more peaceful and beautiful on travel websites that in real life. In advertising and marketing industries, there is an invisible grey area between the actual products and the advertisements. It's understandable that advertising treats truth like a byproduct or present facts in a creative way. What is wrong and unforgivable is how some companies have tried to use the practice of astroturfing. People may be tricked once or twice, then, they just begin to indulge in their self-produced motion. Astroturfing has been around for centuries, and become more epidemic as the social network did but in a notoriously way. The best way to strike back the astroturfing may be more concentrate on our own cautious judgment and less to "the crowd" online.